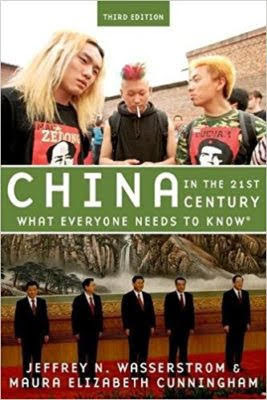 In this two-person illustrate talks, based on the fully revised and updated third edition of their coauthored book, China in the 21st Century: What Everyone Needs to Know, Jeffrey Wasserstrom and Maura Cunningham will explore issues associated with China’s meteoric rise, the distinctive and in many ways worrisome stamp Xi Jinping is putting on the country, and the local and global implications of recent events on the mainland and in Hong Kong. One theme they will stress is that even as China alters the current geopolitical order and has cities that often seem futuristic, paying attention to the past and how stories about history are used and misused inside and outside of the PRC has in some ways never been more important. 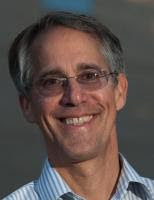 Jeffrey Wasserstrom is Chancellor’s Professor of History at the University of California, Irvine; Editor of the Journal of Asian Studies; a member of Dissent Magazine‘s editorial board; and an academic editor of the China Channel of the Los Angeles Review of Books. He has contributed commentaries and reviews to the New York Times, the Wall Street Journal, the Financial Times, and various other newspapers and to magazines. His other books include, as editor, The Oxford Illustrated History of Modern China (2016). He received his PhD from UC Berkeley. 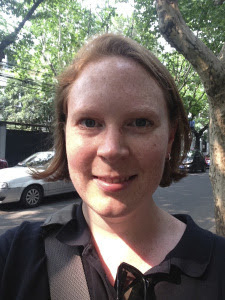 Maura Cunningham is an Associate at the University of Michigan’s Lieberthal-Rogel Center for Chinese Studies and edits the #Asianow blog of the Association for Asian Studies. She has written on modern Chinese history for the Wall Street Journal, the Los Angeles Review of Books, Ms., World Policy Journal, and Time. A past editor of China Beat, she is an advising editor to the China Channel of the Los Angeles Review of Books. She received her PhD from UC Irvine.